An update on the Caribbean regatta scene, Gunboat globetrotters, and a sneak peek at the new Gunboat 68! What an action-packed month! While some Gunboats are out cruising the far reaches of the South Pacific, Asia or New Zealand, a solid fleet of Gunboats have been enjoying the Caribbean sunshine and azure waters.... not to mention, an active regatta scene! Follow us on Facebook and Instagram for the latest Gunboat news and upcoming events. 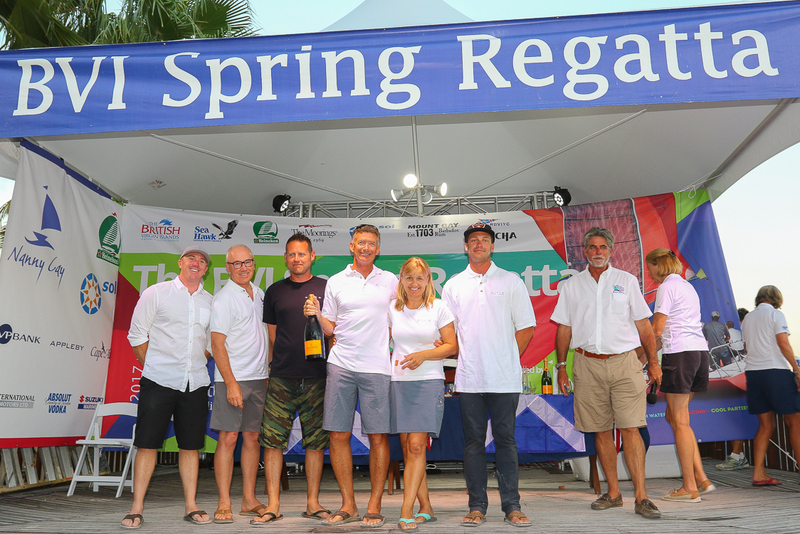 Gunboat 62 "Elvis" takes First Place at BVI Spring Regatta! The BVI Spring Regatta just wrapped up this past weekend with an outstanding showing of five Gunboats that competed in the Offshore Multihull Division. 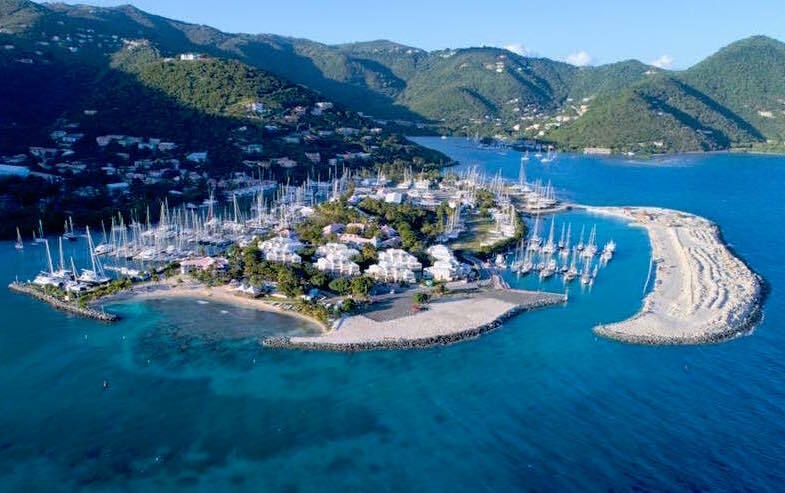 The annual regatta is hosted by Nanny Cay Resort and Marina on Tortola and the course legs run past 65 islands and cays in the British Virgin Islands. Throw in a fantastic Regatta Village on the beach, some Gunboat hosted parties and plenty of familiar faces - the event was a smashing success! “From pure fun, to pure racing, this regatta had it all. Unlike the huge events, this gathering was a far more personal affair - I loved the room to dance, the short wait at the bar and of course the presence of so many friends. The BVI gave us their wonderful hospitality and the privilege of sailing on flat seas with spectacular scenery; while Gunboat took care of every imaginable detail that made this such a well-organized weekend. From everyone aboard Moementum, we send a huge thanks to all involved and look forward to returning next year. Thank you, thank you, thank you!” -Lucky Mike, skipper "Moementum"
Gunboat 62 “Elvis” won first place in the Offshore Multihull division with Gunboat 60 "Flow" securing third place. In addition, the fun-loving crew on Gunboat 60 "Moementum" won the first annual Gunboat Trophy for best performance on or off the water. Gunboat Managing Partner, Benoit Lebizay, and Grande Large Yachting Co-Founder, Xavier Desmarest, were on scene and racing on Gunboat 66 "Extreme H2O" with members from VPLP Design and the internal design team of the Gunboat 68. 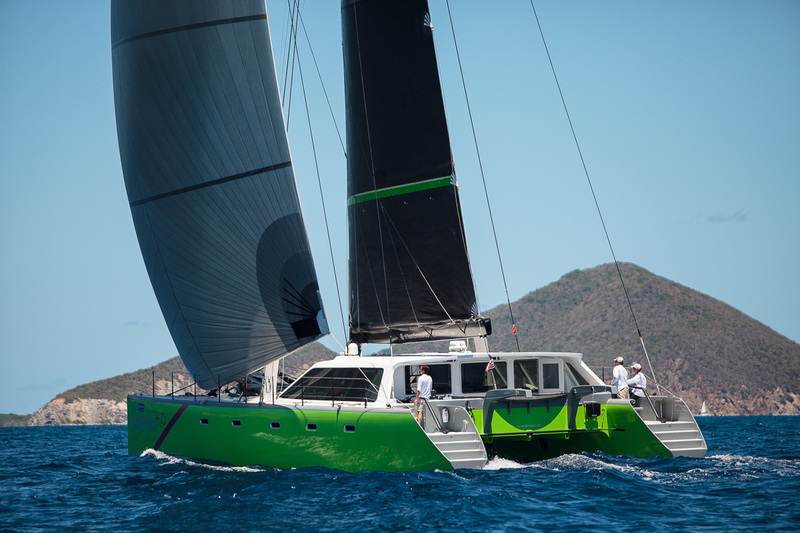 Gunboat 66 “Extreme H2O” joined from the West Coast to go head-to-head with long-standing Caribbean regatta champion, Gunboat 62 “Elvis”. You'll find a technical review and informative preview of the boats that raced in this Sailing Anarchy article. An incredibly grateful thank you to our wonderful sponsors of the BVI Spring Regatta Gunboat social events: North Sails, Nanny Cay, BVI Painters Ltd, VPLP Design and Harneys BVI. Check out this terrific wrap-up video of the event. We're already looking forward to next year! We’re all living vicariously, enjoy! Sneak Peek at the Gunboat 68! It's great to see the eventual Gunboat 68 taking shape! This is an image of the hull plug that has been fabricated in France. 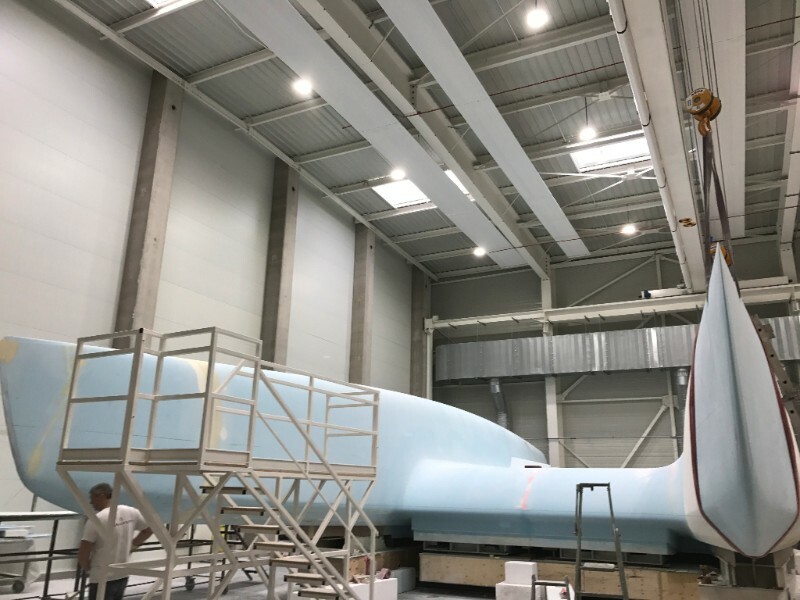 Production of Hull #1 is scheduled to begin in July at the brand new Gunboat production facility in La Grande Motte, France. If you plan to be at the La Grande Motte International Multihull Boat Show later this month (April 19-23) and are interested in learning more about the Gunboat 68, please contact us to schedule an appointment and take a tour of the facility! 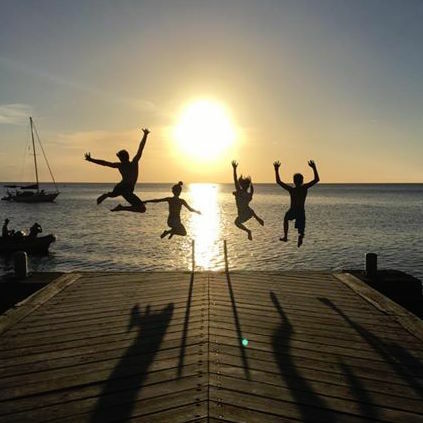 They say a picture is worth a thousand words... and this photo of the tribe on Gunboat 62 "Tribe" perfectly captures the spirit of the GUNBOAT community. 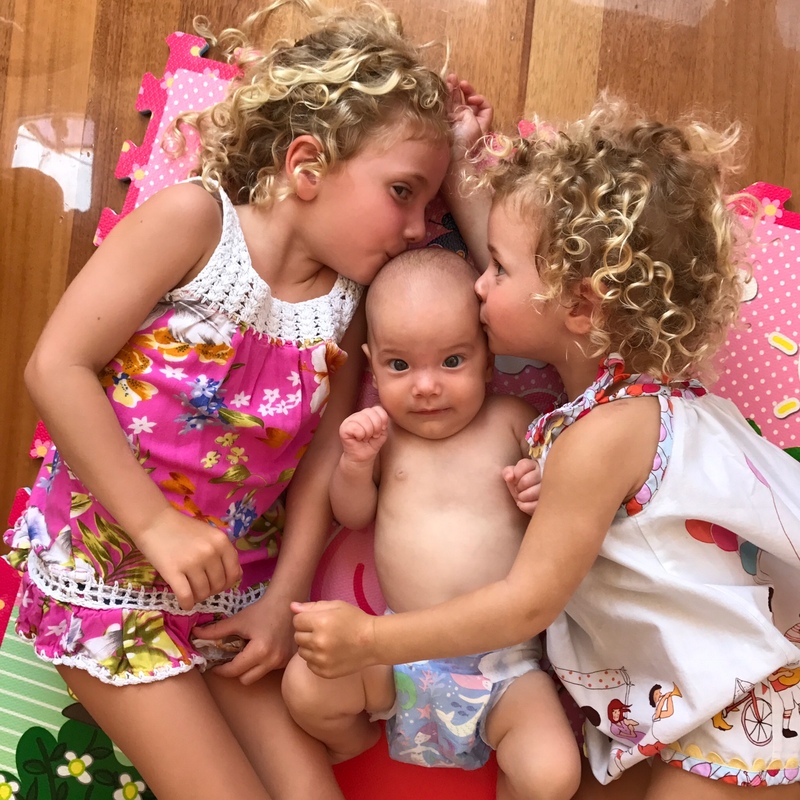 Adventurous, free spirited, young-at-heart globetrotters that explore the world and create lasting memories together on a safe and speedy platform. As a previous owner of a Gunboat once said, "I feel like we left our children's youth onboard. We came on with the greatest of expectations and we are leaving with the greatest of memories." When we add #gunboatfamily to our social media posts, the hashtag indicates more than a traditional immediate family. It's the bond between the owners and crew. The crew and the contractors. The employees of Gunboat. The fans, the sailing community, the people we meet in various ports along the way. It's a lifetime of good memories. 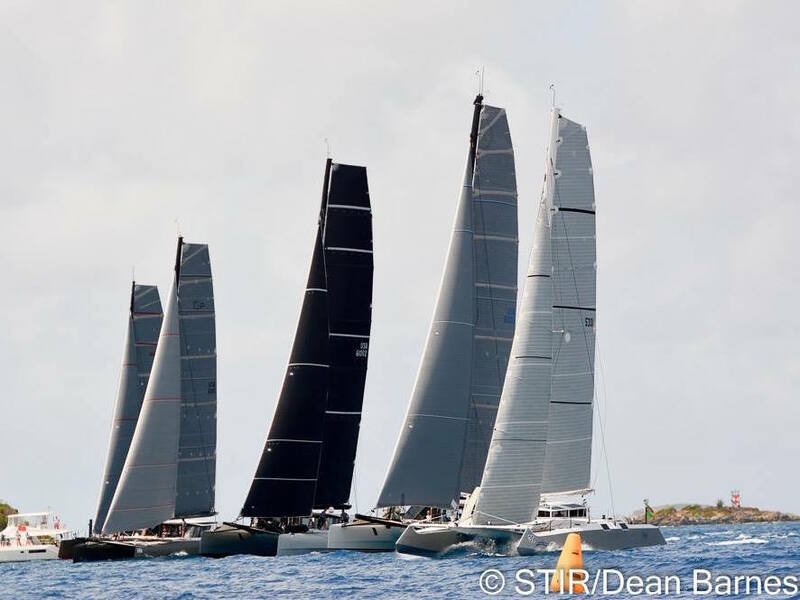 St. Maarten Heineken Regatta: Gunboat 60’s Flow, Arethusa and Moementum competed at the annual Heineken Regatta in big breeze and a competitive mixed multihull fleet. STIR: It was a fun weekend for Gunboat 60's Arethusa, Flow and Fault Tolerant who competed at STIR and the Round the Rocks Race! Cabo Race: Gunboat 62 "Chim Chim" recently competed in the Newport, CA to Cabo San Lucas race last month. We currently have four Gunboats in terrific sail away condition - if you're in the market for a luxury cruising catamaran and are interested in learning more about Gunboat ownership, please contact us today for more information! Copyright © 2017 GUNBOAT (GL Yachting USA Inc.), All rights reserved.